First Bank Basketball Club defeated MB2ALL of Madagascar 74-40 in their opening game of the 28th edition of the FIBA Africa Women’s Champions Cup, which began yesterday, in Maputo, Mozambique. 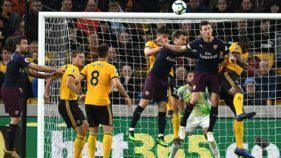 The drab nature of the game in the opening quarter did not suggest a huge score line victory, but once the Nigerian champions got into their strides in the second half with good defensive displays, it became easy to get the needed points to win the game. First Bank won all the four quarters – 13-9, 21-14,17-4,23-13 as Jasmine Nwajei, who missed the World Cup in Spain led the floor with 17 points, Congolese import Ginette Mfutila added 13 points, while Nkechi Akashile and Malaika Nyree Green added 12 points apiece. No players got to double figures in scoring for the Madagascans with Nivo Irma Romina leading her team with nine goals. But they would have to be contended with the fact that they gave their best against a team that finished third at the last edition in Angola. 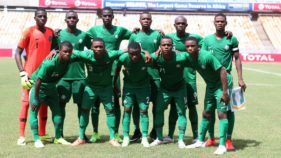 MB2ALL players showed flashes of brilliance but they are surely a team of the future, while First Bank relied on their experience to see off the Madagascan. Assistant coach of the team, Chris Okoh, said the game was difficult in the earlier stages because two out of the nine players that dressed for the game came in yesterday and only trained once with the team. He, however, stated that with the arrival of Sarah Ogoke yesterday, before the game against MB2ALL, and the expected appearance of Aisha Mohammed and Cecilia Okoyo on Monday, the team would become formidable. “The match turned out the way we expected. We knew it would be difficult in the early stages, but once our players got into their stride, it became difficult for the Madagascans, who are very young and surely look like a team for the future. First Bank will take on Kenya Ports Authority (KPA) at 2.45pm Nigerian time today.